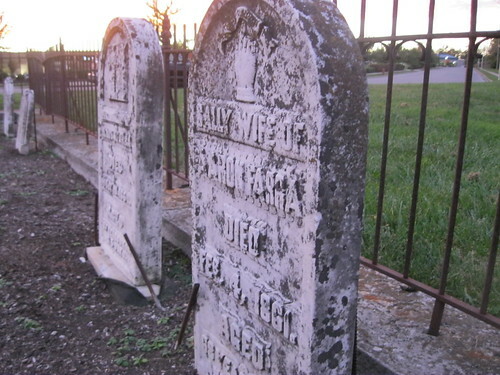 Aaron Farra Family Graveyard - Nicholasville, Ky.
As Kentucky's landscape changes, old farmhouses and barns are often torn down. The same goes for churches, post offices and general stores. Entire communities are consumed by an ever-growing suburbia. But what of the cemeteries? In Kentucky, state law charges cities and towns with preserving burial grounds within the city limits. A perfect example is in Nicholasville where local ordinances about a decade old mandate specific treatment in cases of cemeteries within areas of development. 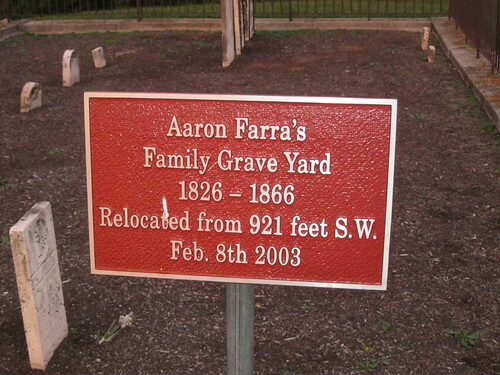 In February 2003, the Aaron Farra Family Graveyard was removed from its original location. Aaron Farra and his wife, Sally Neet Farra, once owned this land. Aaron and Sally passed this world in 1859 and 1861, respectively, an 1861 map of property owners in Jessamine County identifies a large area of land - on both sides of the Nicholasville Turnpike as it was once called - controlled by different members of the Farra family. Yet, it seems little is known of the family. 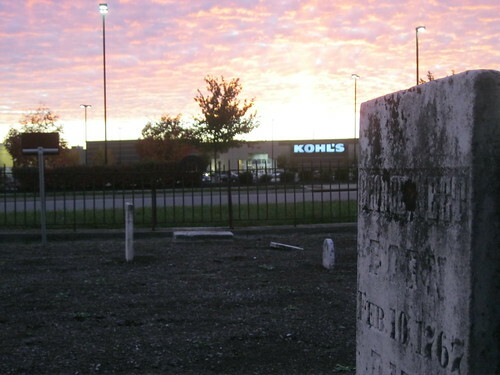 Sally's parents, George Neet (born in Germany in 1767, his headstone is pictured above with the Kohl's Department Store in the background) and Sally Neet, are buried here. As are a few of Aaron and Sally's grandchildren. 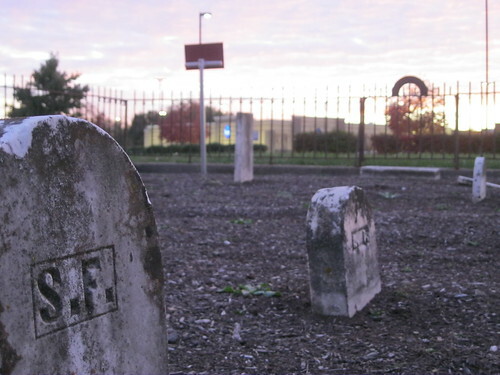 The earliest burial in this family graveyard was in 1826 and the most recent in 1866. The graveyard is surrounded by an iron fence which was also transplanted from the original site. It is a well-maintained, small cemetery in what many now find an 'odd' location. But remember, they were here first!